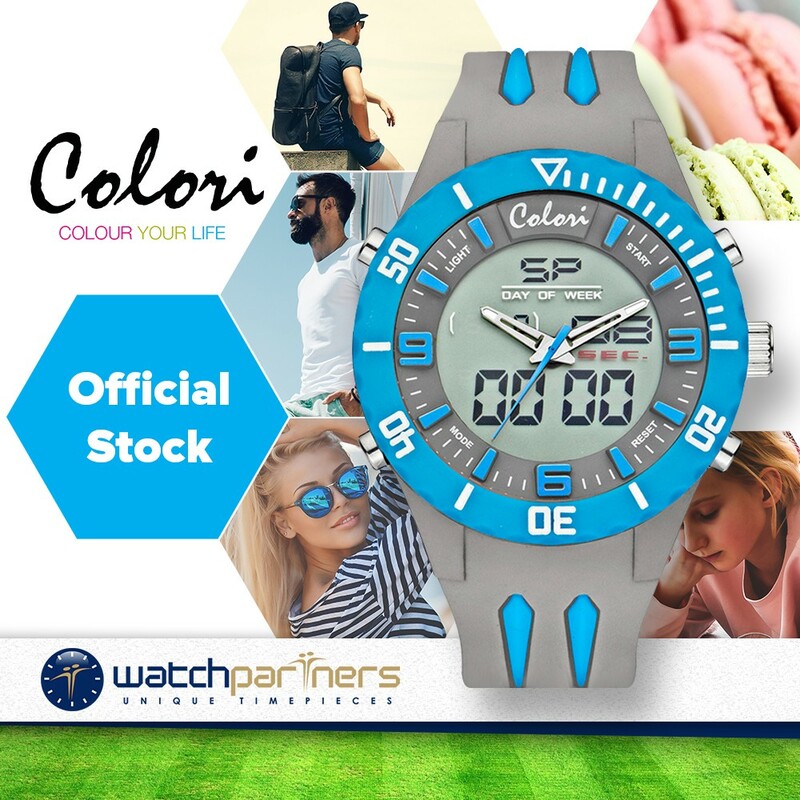 The Colori Cool Fusion is a really fashionable watch with a sporty appearance. Dimensionally the timepiece has a massive black Polyamide 48mm case, which is designed to make a striking statement. 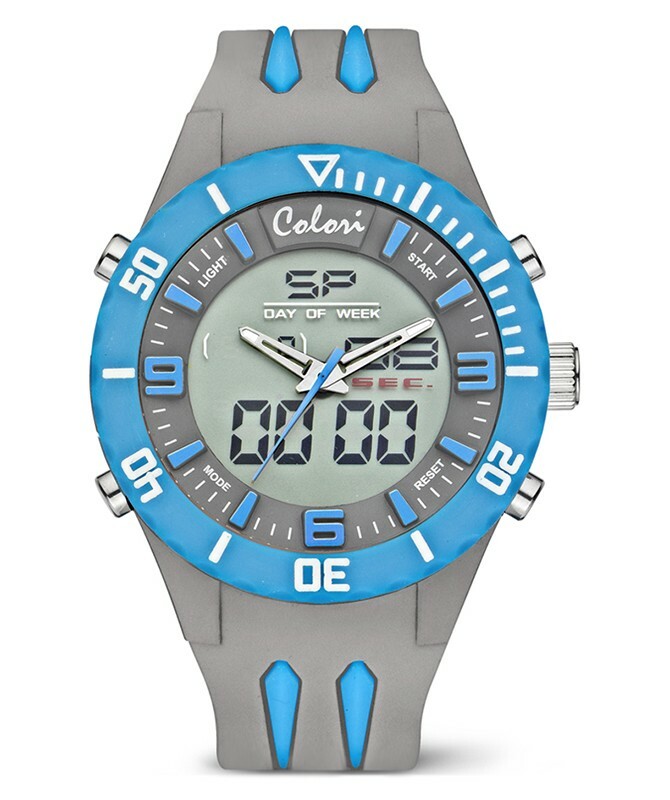 What makes this watch so special is the trendy grey dial (with contrasting blue bezel) displaying time in both analogue and digital format. Beneath the robust exterior lies a Miyota quartz movement.